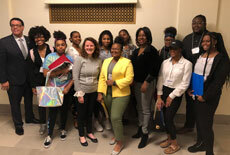 Students traveled to Jefferson City in March to meet with their state legislators to discuss specific issues related to substance use in conjunction with the Speak Hard Youth Conference. 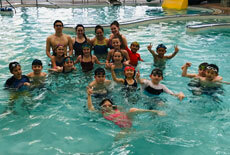 Click on the headline to learn more and view photos. To connect with the students and staff at CHS, the Family Center students created a mailbox for the hallway outside of their classroom suite at CHS. Click on the headline to learn more and view photos. 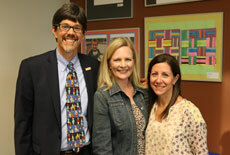 Joe Miller and Stacy Siwak were sworn-in to the District's Board of Education during the April 10 meeting. Following the swearing-in, the BOE elected its new officers. Click on the headline to learn more. 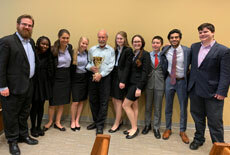 The Clayton High School Mock Trial Team has earned the title of the Missouri Mock Trial State Champions for the first time since 2013. Click on the headline to learn more. Clayton, Ladue School Districts Partner for Screening of "Big Sonia"
If you haven’t seen the film, “Big Sonia,” directed by Clayton alumna Leah Warshawski (‘96) and her husband, Todd Soliday, this opportunity is for you! The School District of Clayton, partnering with the Ladue School District, is proud to present a community viewing of the film, “Big Sonia.” Click on the headline to learn more. 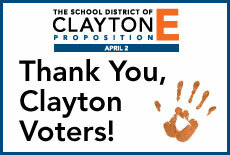 The School District of Clayton is pleased to announce the appointment of Clayton High School Physical Education (P.E.) and Health Teacher Steve Hutson as the new CHS Athletic Director beginning with the 2019-2020 school year. Click on the headline to learn more. The School District of Clayton is pleased to announce the appointment of Dr. Robyn Viloria Wiens as Assistant Superintendent of Student Services beginning with the 2019-2020 school year. Click on the headline to learn more. Clayton High School Assistant Principal Dr. Ryan Luhning has been selected as the next principal of Valley Park High School beginning with the 2019-2020 school year. He will begin his new role on July 1. Click on the headline to learn more. 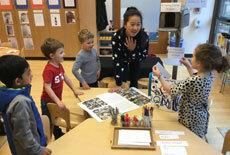 Click on the headline to review helpful handouts distributed to 2019-2020 kindergarten parents at the District's annual Kindergarten on the Horizon held in February. Assistant Superintendent of Student Services Dr. Kashina Bell has been selected to be the new Assistant Superintendent of People and General Administration for the School District of University City beginning with the 2019-2020 school year. Click the headline to learn more. 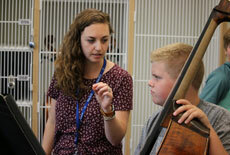 The MAP Grade-Level Assessment score reports have been released by DESE. Any student who attended a Clayton school during the 2017-2018 school year in grade 3-8 will receive the report at his/her home address. Reports were mailed by Dec. 21, 2018. Assistant Superintendent of Human Resources Dr. Tim Dilg has been appointed superintendent of the Valley Park School District beginning with the 2019-2020 school year. Click the headline to learn more. This section of the website is used for posting breaking news and urgent announcements for parents, students and staff such as school closings, activity cancellations or when a school may be experiencing technical issues with its email or phone systems. This section will display this standard message if there is no breaking news or urgent announcement to report.